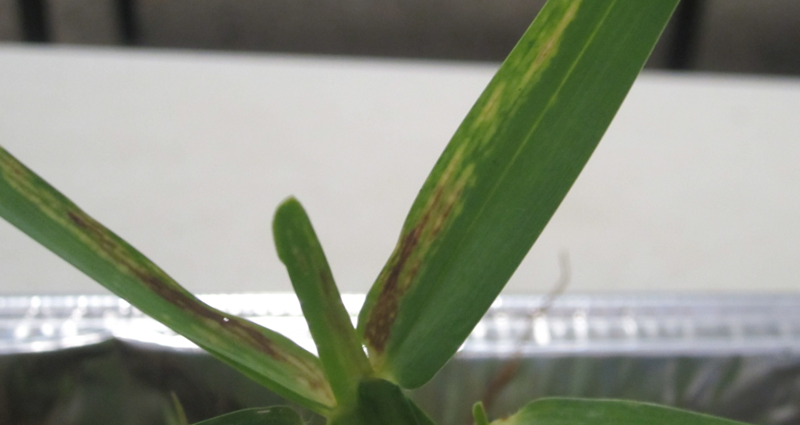 What you should know about Sugarcane Mosaic Virus (SCMV) affecting St. Augustinegrass. At the end of 2017, the Plant Diagnostic Clinic at UF/TREC discovered that some turfgrass samples from Miami-Dade and Monroe County tested positive for Sugarcane Mosaic Virus. Early symptoms include a mosaic pattern on the leaf that becomes necrotic (turns brown and dies prematurely) over time. According to Dr. Phil Harmon, UF/IFAS Plant Diagnostic Center, the symptoms present blotchy and streaky patterns of yellow and green color. In fact, turfgrass tends to have broken yellow streaks running between the veins on an otherwise green blade. The symptoms and dieback typically starts in the fall months of September and October, and continues through the winter into spring. Some lawns may appear to recover in the spring. Unfortunately, lawns that appear to recover eventually die over a period of 1-3 years. Infected lawns may completely dieback. 1 part household bleach with 9 parts water. Caution: bleach rusts steel. In order to obtain reliable lab results the turf sample must be taken correctly. Bad samples means bad results. Take a cupcutter-sized plug from diseased, but still living St. Augustinegrass. A coffee can with both top and bottom removed could be used or just a shovel to cut a few sq. inches of sod from weak areas. Remove excess soil from the plug, but not wash or add water. Take a picture of the lawn from where the sample was taken, that’s good info too! Record the variety of St. Augustinegrass that was planted there, age of planting, street address, and any other information relevant information like previous application of fertilizer or pesticides. 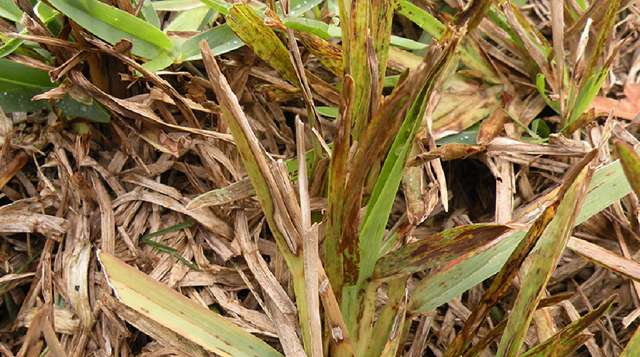 St. Augustine ‘Floratam’ turfgrass has exhibited the most severe symptoms. ‘Floratam’ lawns that have died due to SCMV are susceptible to dying again if replaced with ‘Floratam’. The current recommendation is to replace lawns that have died as a result of SCMV with a more resistant turfgrass. ‘Palmetto’ and ‘Bitterblue’ are more resistant. Zoysiagrass is not known to be a host of SCMV. Other grasses such as bermudagrass, seashore paspalum and bahiagrass have been reported with SCMV infections but not as heavy as St. Augustine. Unfortunately, there are no known pesticides or other products that homeowners or landscape professionals can apply to lawns to prevent the development, spread or cure the disease. The severity varies from lawn to lawn and the symptoms could be minor yellowing to death. Good sanitation and sod replacement with resistant varieties, or replacing lawn areas with alternative plant material or hardscape elements are the only landscape options available. ← Have you made time for yourself?